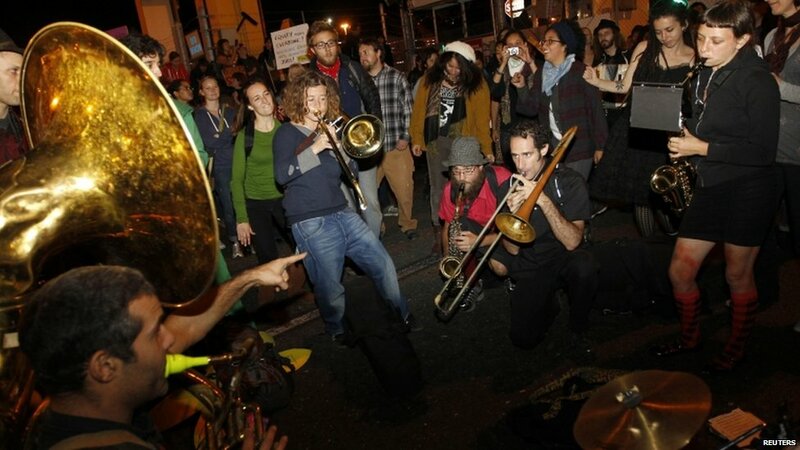 There have been violent scenes in the city of Oakland, California, where Occupy protesters and police have clashed overnight. 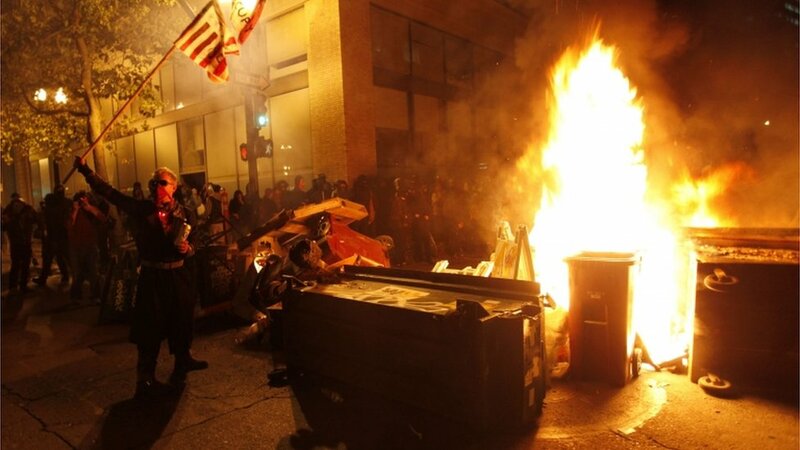 Trouble began around midnight when protesters set fire to a makeshift barricade and police were seen around the main encampment with riot gear. 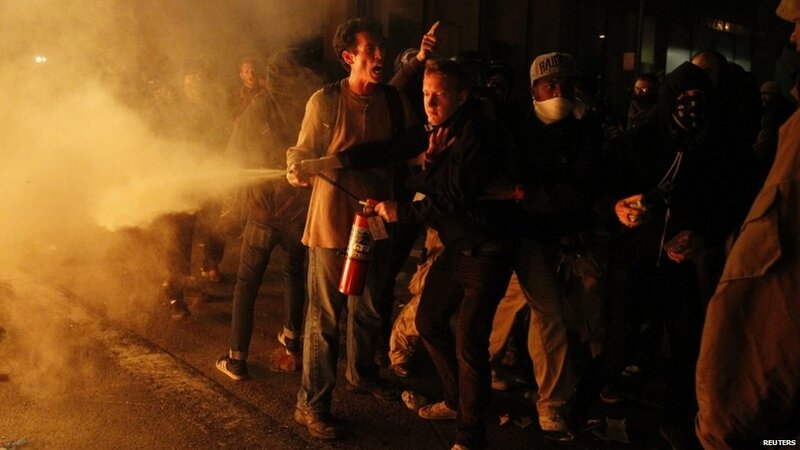 Other protesters attempted to douse the fires. 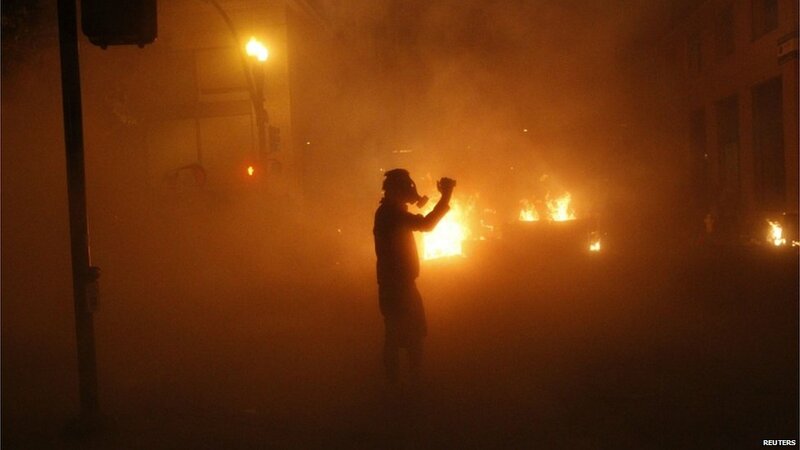 Soon after, police fired tear gas and flash-bang grenades and clashed with protesters, as around 30 people were arrested and at least four were brought to hospital. 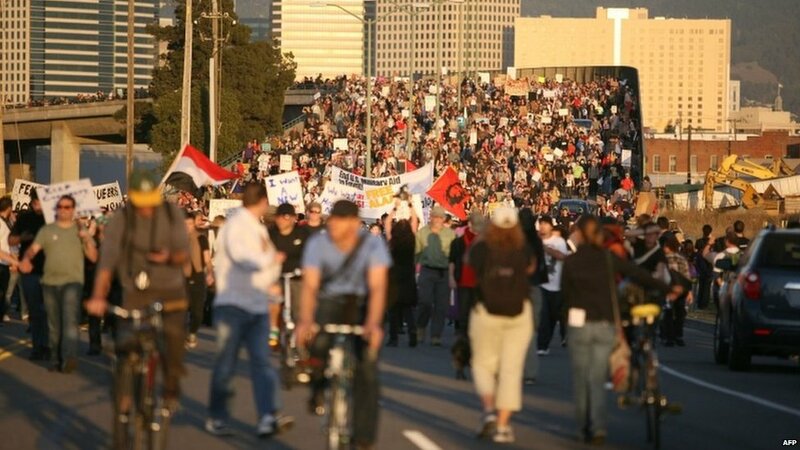 Earlier on Wednesday, protesters called a general strike and marched to Oakland, California's port, one of the busiest in the US, forcing it to close. 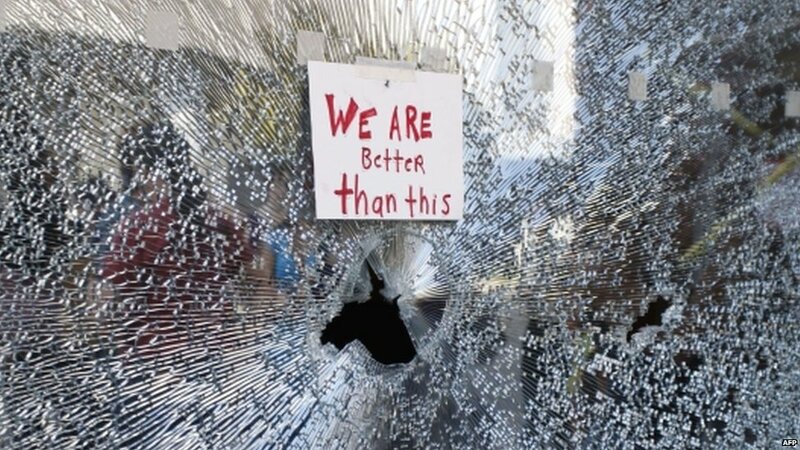 While the protests were largely peaceful, police officials said isolated incidents of violence and vandalism was led by groups of anarchists among the protesters. Thousands blocked the entrance to Oakland's port with vehicles and chain-link fences. 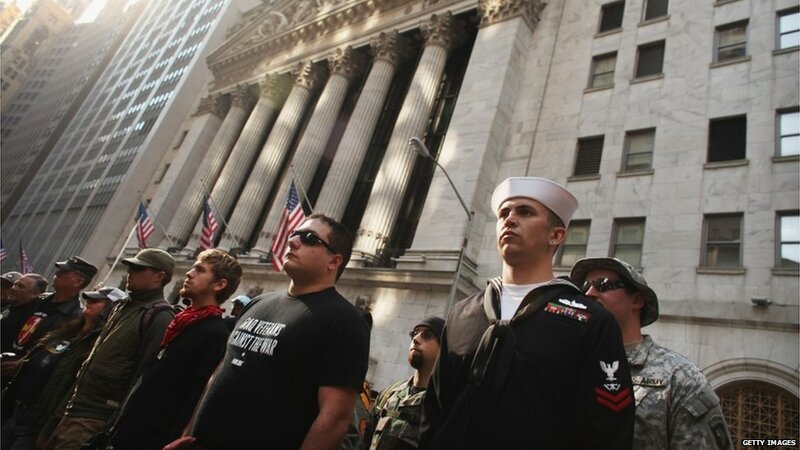 In New York, veterans marched from Vietnam Veterans Plaza to Zuccotti Park in solidarity both with Oakland's strike and with Scott Olson, a 24-year-old Iraq veteran who was hurt in the city last week. 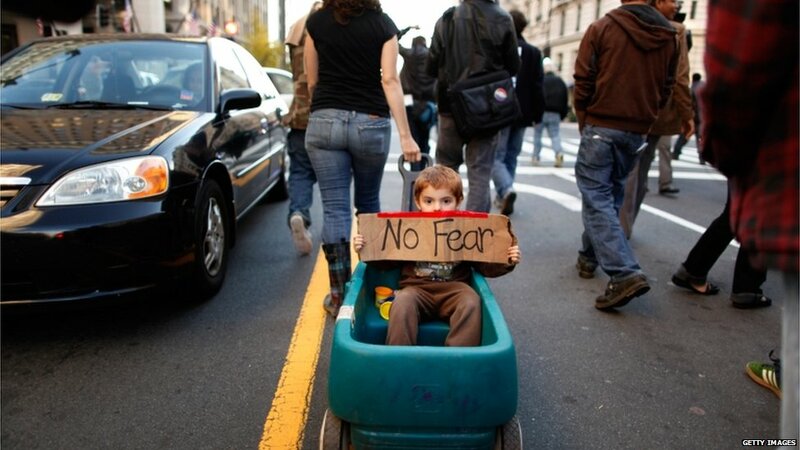 And in Washington DC a group of protesters marched to the Justice department during rush hour traffic to protest against police violence.